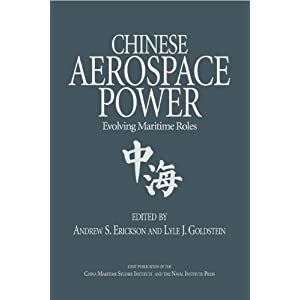 Chinese Aerospace Power: Evolving Maritime Roles Reviewed by Book News Inc.
Andrew S. Erickson and Lyle J. Goldstein, eds., Chinese Aerospace Power: Evolving Maritime Roles (Annapolis, MD: Naval Institute Press, 2011) reviewed in “Reference & Research Book News,” Book News Inc. (October 2011), 306. 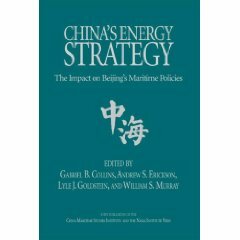 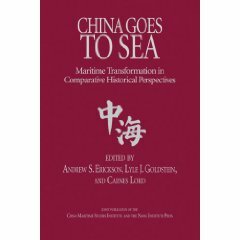 Click here for more information on the book reviewed: Andrew S. Erickson and Lyle J. Goldstein, eds., Chinese Aerospace Power: Evolving Maritime Roles (Annapolis, MD: Naval Institute Press, 2011). 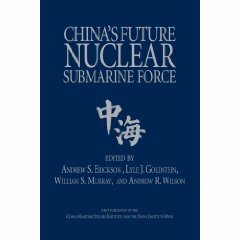 To watch a webcast presentation of the book, see Andrew S. Erickson, “Chinese Aerospace Power: Evolving Maritime Roles,” Eight Bells Book Lecture, Naval War College Museum, 8 September 2011.